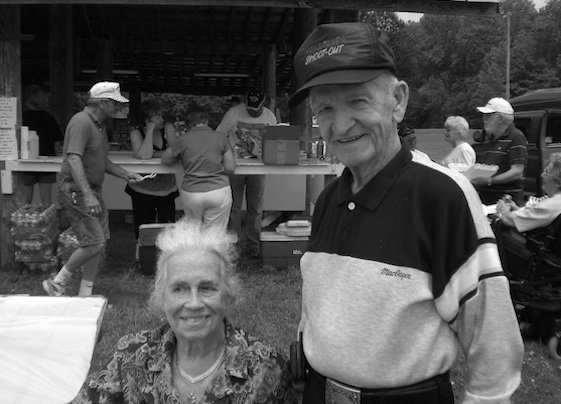 Jimmy Mosteller, a true racing pioneer, passed away this week. Jimmy Mosteller, a long-time racing announcer and co-founder of the old Hav-A-Tampa dirt racing series, died Wednesday. Mosteller started announcing horse racing events after a brief try as an apprentice jockey. But he found his true calling while following his race-driver friend Jack Smith to stock car races in the late 1940s. He announced his first race in 1949 and was still behind the microphone until just recently. He announced races at the most obscure short tracks and at some big ones, including Atlanta Motor Speedway. He also worked behind the scenes to support his sport, and in the early 1990s, he and the late Mike Swims formed the Hav-A-Tampa Series, which brought national visibility to dirt Late Model racing in general and larger purses to its participants. Mosteller was able to make that happen through his day job as senior vice president of the Hav-A-Tampa Cigar Co. 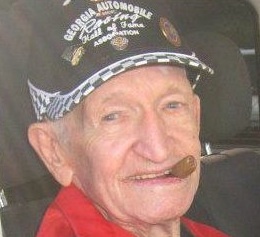 He also worked to form the Georgia Automobile Racing Hall of Fame Association and was inducted into the Hall in 2003. Mosteller had a way of making everyone he met feel like his friend. He referred to people as “Cuz” whether they were long-time friends or first acquaintances. He was appreciative of those who supported dirt racing, and spent countless hours at Christmastime calling people one-by-one with a thoughtful, personal season’s greeting. From his perch in the announcer’s booth he witnessed some of racing’s greatest moments, like Atlanta Motor Speedway’s inaugural Cup race, to tragedies at Lakewood Speedway, the one-mile dirt fairgrounds track that AMS replaced on NASCAR’s elite circuit. He was behind the mike in Dallas, Ga., in 1965 when Richard Petty’s drag racer suffered a parts failure, veered into the crowd and killed an 8-year-old boy. But through it all, he remained a staunch supporter of racing and its people. Mia Swims Green, a member of the Swims family that owns Dixie Speedway and Rome Speedway in Georgia, summed up how many in the dirt track side of the sport felt about Mosteller. Well said Rick. He was a man of many words with a kind heart and a love for racing. Jimmy lives on in our hearts. I always enjoyed being around Jimmy. He always made my wife & I feel like we had known him forever. He used to crack me up with that roving microphone at the Peachbowl Reunions, once he was asking who were former race drivers, from any track not just Peachbowl, his question for them was “have you ever spun anyone out on purpose”, when he asked me that I told him “not as many as I wanted too”, Jimmy then says, “here ya go ladies & gentlemen, the first honest answer to that, we have had all day”! Jimmy certainly was a true ambassador & friend to motorsports. Godspeed Little Buddy! Thanks to Jimmy for soooo many laughs and the friendship he offered to anyone in sight! No one could have done a better job of telling Jimmy’s story..Thanks Rick! Entertaining people was Jimmy’s calling.You knew it would be a good night of racing if Jimmy was calling the show. We have lost a true racing historian who lived the history. It was a pleasure to know a man who only saw the good in people, especially racing people. Excellent story on a great racing ambassador. Thanks Rick.